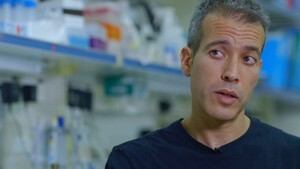 Eran Segal, PhD, is a computational biologist specializing in the role of the human microbiome in health and disease. He focuses on the development of personalized medicine approaches that combine human genetics, the microbiome, and nutrition. Dr. Segal is lead investigator of a Ramsay 2017 project exploring the gut microbiota-immune system interaction in myalgic encephalomyelitis/chronic fatigue syndrome (ME/CFS). His research group is using a multidisciplinary approach that combines both experimental and computation-based methods. Watch the video to hear an update on their progress since the project began earlier this year.